Product prices and availability are accurate as of 2019-04-23 15:49:53 UTC and are subject to change. Any price and availability information displayed on http://www.amazon.com/ at the time of purchase will apply to the purchase of this product. 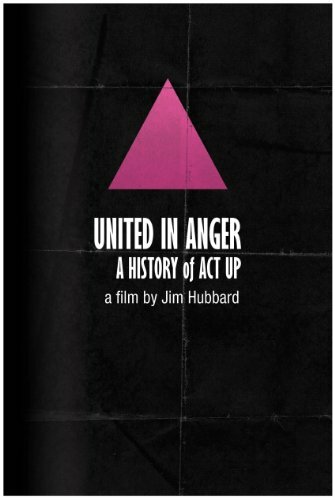 UNITED IN ANGER: A HISTORY OF ACT UP is a combines startling archival footage that puts you on the ground with the activists and the remarkably insightful interviews from the ACT UP Oral History Project to explore ACT UP (the AIDS Coalition to Unleash Power) from a grassroots perspective - how a small group of men and women of all races and classes, came together to change the world and save each other's lives. The film takes the viewer through the planning and execution of a half dozen exhilarating major actions including Seize Control of the FDA, Stop the Church, and Day of Desperation, with a timeline of many of the other zaps and actions that forced the U.S. government and mainstream media to deal with the AIDS crisis. 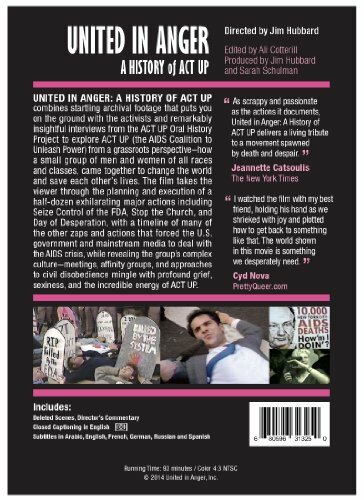 UNITED IN ANGER reveals the group's complex culture - meetings, affinity groups, and approaches to civil disobedience mingle with profound grief, sexiness, and the incredible energy of ACT UP.